To claim this profile, please confirm you are Evan Baum. To follow this profile, please let us know your relationship to Evan Baum. Varsity baseball vs. Pompton Lakes. RESULTLoss Varsity baseball @ West Morris Central. 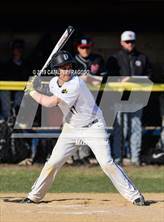 The Pequannock varsity baseball team lost Saturday's away non-conference game against West Morris Central (Chester, NJ) by a score of 12-10. 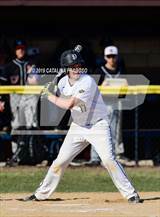 Evan had 4 photos tagged from the photo gallery " Morristown-Beard @ Pequannock ." Evan's baseball stats have been updated for the loss vs. Madison. The Pequannock varsity baseball team lost Monday's home conference game against Madison (NJ) by a score of 12-4. Evan has been added to the Pequannock baseball roster. RESULTWin Varsity baseball vs. Lenape Valley. The Pequannock varsity baseball team won Saturday's home non-conference game against Lenape Valley (Stanhope, NJ) in extra innings by a score of 7-6.